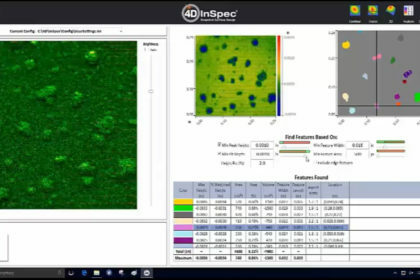 This video shows how to use the 4D InSpec Surface Gauge Feature Analysis to measure surface defects on precision machined surfaces. 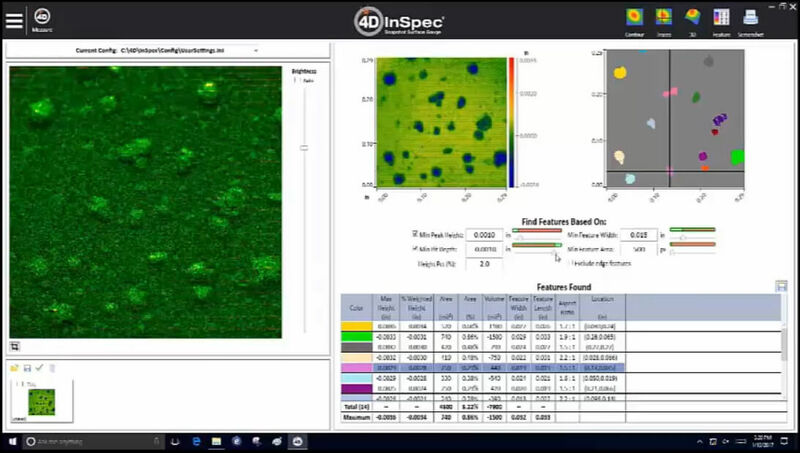 The handheld, portable 4D InSpec can measure surface defects on large or complex surfaces. The Feature Analysis automatically locates all features in the field of view based on user-input criteria. It then presents them in an easy-to-read report.